Do you ever stop and think about how bland and boring your pooch’s diet is on a day-to-day basis? Imagine having the same processed, dry food every day for every meal. There’s no way you’d allow that to happen, and a lot of dog owners feel the same way. This is why DIY dog food has become so popular recently. Many dog owners who like to shake things up a bit for their best friend. You may have even gone out of your way and spent extra money to get them a variety of foods and treats to help spice up their life. It seems this is more of a rarity today than the norm, even though keeping a healthy diet with fresh and natural ingredients is a hot topic for humans. So, if you’re interested in learning how to make healthy DIY dog food at home, then you’ve come to the right place! Let’s first discuss why homemade foods are beneficial and cover some need-to-know basics regarding your pantry and your dog’s diet. It’s also a great feeling when you know exactly what is going into your dog’s food. 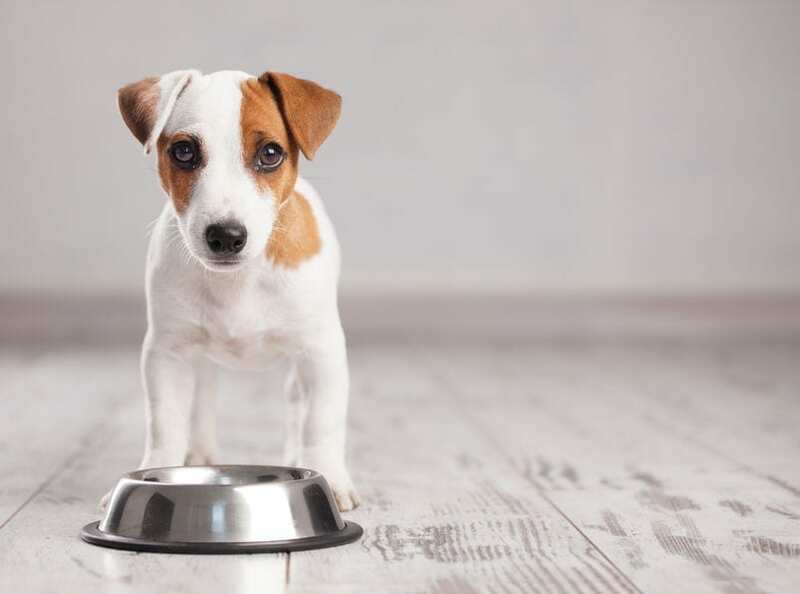 Many dog food brands have come under scrutiny for a variety of issues – from using potentially questionable ingredients to full recalls. Making your own dog food ensures that you’ll know exactly what’s been put into your pet’s food. Before proceeding, make sure you look into foods that are safe for dogs versus foods that are toxic. You should also run this list by your vet and get their approval first. Your best bet will be to have your chosen recipes readily available, so they can look over the ingredients and give a professional opinion for your dog. Not to mention, it’s always a good idea to know what you can safely feed your dog just in case you forget to buy dog food and need a DIY quick fix for your pup. Again, these are only some of the foods dogs should never eat. Please always check with your veterinarian before giving any human foods that you are unsure of. Here is a quick rundown of the basic nutritional content recommendations for a dog’s daily dietary intake. 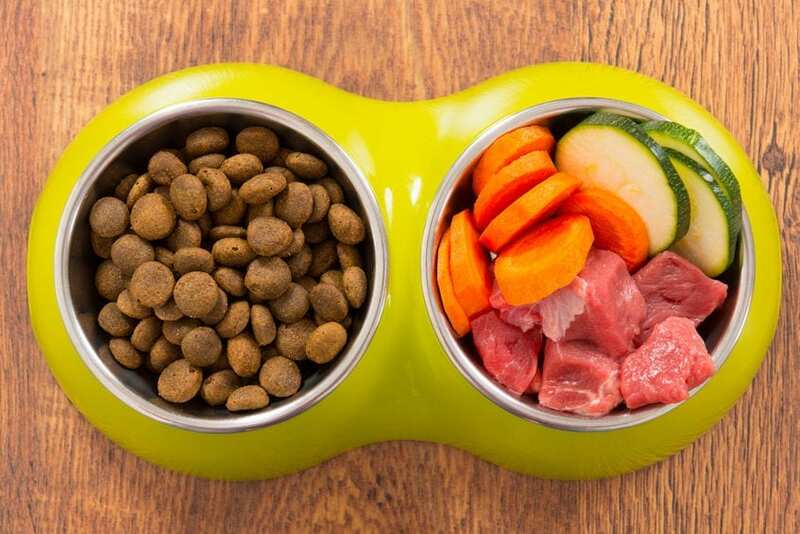 While this can vary slightly with different breeds or for the individual needs of your dog, this is the ideal starting point for proper nutrition. Raw diets have many benefits for dogs. The nutrition provided by this kind of diet is more closely matched to their natural dietary intake. 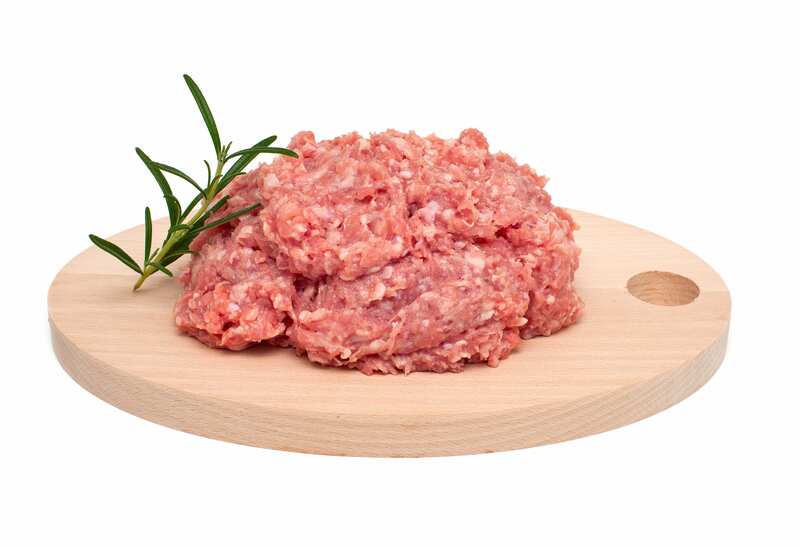 However, there can be safety concerns for humans when handling raw meats or even being around your dog after consuming raw meat.3 For this reason, many people are seeking out a quality commercial raw food provider. But you can also treat your pup to a delicious home-cooked meal from time to time. Now that you’ve got the basics, let’s get cookin’ with these healthy and delicious DIY dog food recipes! The following are favorites among dog owners when it comes to DIY dog food recipes. If you want to make your own DIY dog food, this is a great place to start. After you’ve gotten comfortable, you can even tweak these recipes for your pup’s needs and preferences. Just make sure that you are providing them the proper nutritional content on a daily basis. This recipe is loaded with essential vitamins and nutrients that your dog needs and is a much healthier alternative to commercial dog foods. It provides proper amounts of meat and vegetables which can be critical to overall health. It can easily be stored in your fridge or freezer and makes for a quick feeding process after initial cooking (makes over 12 cups). 1. Cook diced sweet potato in the microwave for 5 – 10 minutes (until cooked yet firm). 2. Slice stew meat into appropriate bite sizes for your dog (they’ll “shrink” upon cooking). 3. Cook meat in skillet w/1 tbsp vegetable oil (15 min) on medium heat until well done. 4. Remove meat from skillet and set aside. Reserve the drippings. 5. Dice the cooked sweet potato. 6. Heat drippings over medium-low heat. Add flour and water. Whisk until gravy is thick. 7. Add green beans, carrots, sweet potatoes, and meat to gravy mixture. 8. Cook until carrots become tender (about 10 minutes). 10. Store in refrigerator for up to 10 days (or freezer for 1 – 3 months). This is an ideal low-fat DIY dog food recipe for pooches that need to shed extra weight. It provides lean protein, veggies, healthy carbs, and even rosemary. Rosemary is a powerful antioxidant and is used as a preservative in dog foods.4 Again, you’ll make about 12 cups here. 1. Put turkey, water, rice, and rosemary into a large size dutch oven. 2. Stir well to ensure ground turkey is thoroughly broken up and distributed evenly. 3. Heat on high until mix comes to a boil then reduce heat to low. 4. Simmer for 20 minutes. 5. Add frozen veggies. Cook for another 5 minutes. 6. Remove from heat and allow to cool. 7. 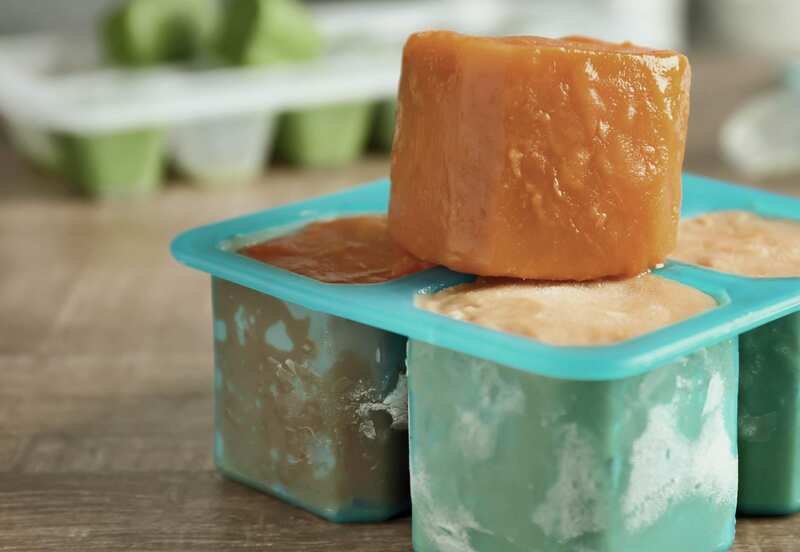 Refrigerate mixture until ready to serve. 8. Store in refrigerator for up to 10 days or freezer for 1 to 3 months. This recipe is very quick and easy to make. Prep time is minimal, and it stores well. It provides a well-rounded balance of the nutrients your dog requires and makes about 11 cups. 1. Pour water into crockpot with all other ingredients. 2. Cover and cook on high for 2/3 hours or low for 5/6 hours. Stir as needed. 3. Cool to room temperature and serve. 4. Store in refrigerator for up to 10 days and in freezer for 1 – 3 months. These treats are very easy to make, and dogs seem to go crazy over them. The bananas provide a fun change to the traditional savory flavors of a dog’s diet. And frozen treats can keep your dog occupied for a longer time. This recipe makes approximately 16 ½ oz treats. 1. Blend all ingredients in mixing bowl until pureed. 2. Distribute mix into ice cube tray, popsicle tray, or muffin tin. 3. Store in freezer for several weeks. 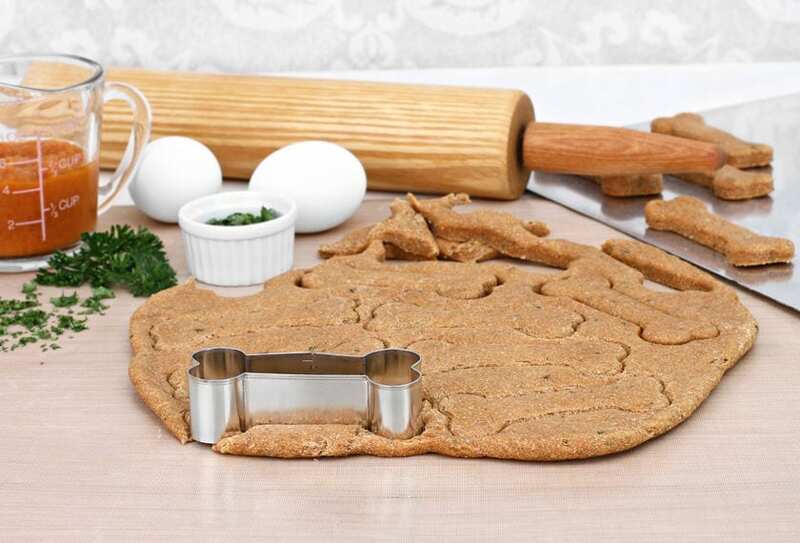 Now you know how simple it can be to make your own dog food and create DIY treats at home. This is a healthy option for your pet and can have so many benefits. Many veterinarians today are encouraging integrative medicine throughout a pet’s life. This includes making the best possible choices for your pet before any medical issues arise. Remember, a happy and healthy animal (or human) could be more likely to stay healthy and have better outcomes should any condition present itself. Making the best choices today can help prolong and enrich the bond between you and your best friend for life. Can you email me the prebiotic, &/or probiotics you recommend. Currently feeding hip & joint treats with turmeric.. I would love to try these recipes but it does not give the amount to serve per pets weight! Can you help? Thanks! Love these recipes! SO DOES MY Dog BAILY!!!!! I am so glad that i found this website your the best Dr. Marty!!!!!!!!!!!!!!!!!!!!!!! !